Fill your garden with cuteness! 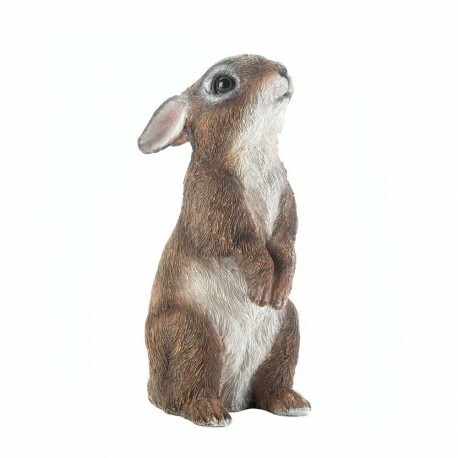 This adorable bunny figurine is standing up to catch the scents in your yard, and you'll love catching a glimpse of him each time you're outside. He has amazing details that make him look real! 4.38" x 3" x 8". Polyresin.